Gaming notebooks have come a long way from yesteryear gaming laptops. Today, these machines pack lots of power and push the limits of graphics to the core. Besides running on Windows 10 and using Nvidia’s GeForce Graphics, these laptops are your go-to for taking the game with you to your friend’s house. You can also get a clunky gaming notebook that can come close to replacing your desktop rig. If you want to upgrade to a machine that has high-end cooling parts, sophisticated gaming graphics, and solid battery power, here’s a look at the Best Gaming Laptops of 2018. We can’t argue; the gaming desktop is still king of gaming. Talk of supporting all virtual reality (VR) setups and running 4K games like a champ. But you can’t possibly take your desktop rig with you. A gaming laptop gives you entertainment at your convenience. You don’t need to sacrifice any components as today’s gaming laptops can pack 1070 and GTX 1060 GPUs with no problems of overheating. Their overclocking power is top-notch allowing you to engage in your personalized titles and you can bring along a VR headset. Do you want a portable gaming package? The Acer Predator Helios 300 exceeds our expectations in the latest gaming laptops. With a core i7-7700HQ processor, this laptop gives you powerful portable gear at a great price. 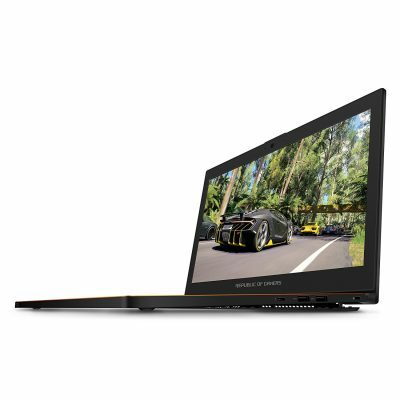 The high-speed gaming core combines with Nvidia’s GeForce graphics card to provide an unrivaled gaming laptop for fast action games. Based on Nvidia’s Pascal architecture, Nvidia’s GeForce GTX 1060 Graphics card is VR ready. 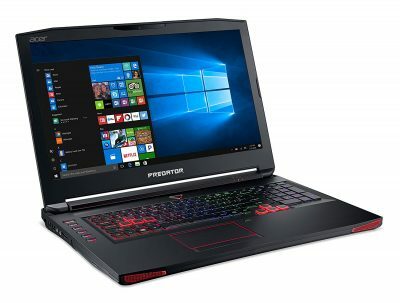 It draws you in the world of virtual reality so you can pair it with your favorite headset and get the most of out of this top performing gaming laptop. The loud fans tell you it’s ready for serious gaming as it will not heat up and freeze your opponents when you are about to pull the trigger. Helios 300 is stocked with 16GB DDR4 RAM plus its 6GB of Video RAM. It is dedicated to the best gaming experience. However, we find that the 256GB SSD memory is a little scant considering we are in the world where games go all out in giant sizes. Looking at the exterior features, Acer gives you a brushed metal lid besides the plastic chassis. But what did we expect with a gaming laptop under $1500? With the red backlit keyboard, it is obvious the notebook has in it a gaming environment to match your desires. The keyboard keys are also quite responsive such that you will get the tactile feedback that enables you to kick it up a notch higher. You also get the PredatorSense Control Panel that gives you lots of customization features. You can control the system fan speed, gaming fan speed, and the system’s temperature. The display at 1920 x 1080pixels is okay for gaming. We find that it is a little dim for many people’s liking which means you’ll have to use it in a well-lit room. Otherwise, you will love that it is slim and compact with a 15.6-inch screen. It can quickly go into your backpack so you can game wherever you want. The battery life is also quite impressive as it can get you 7 hours of battery life with regular gaming. If you are on a budget, the Acer Predator Helios 300 is a well-rounded gaming laptop that will not disappoint. With a powerful CPU and graphics card, it combines the best gaming aspects to deliver top gaming performance. Razer knows best in gaming peripherals. This gaming laptop is not only powerful, but it has enough space to store oversized games. Featuring the latest generation CPU, i7-7700HQ, this laptop aims at giving you memorable gaming experience. It is replete with speed and revered for its VR ready Graphics card. Razer Blade gives you 2.8GHz processing power. The active cores can turbo to 3.8GHz to make it ready for speedy MOBA and FPS games. Loaded with 1TB SSD PCIe and 16GB DDR4 2400MHz memory, Razer Blade boasts 3x more speed than gaming laptops using mSATA SSD. Nvidia’s GeForce GTX 1060 is all game as it combines with the Razer’s display settings of either Full HD or 4K. This gives you fully-immersed and fun gaming with intricate details that will keep you glued to the screen. As we said, it is VR ready which opens up the door for using VR headsets for even more engaging gaming. 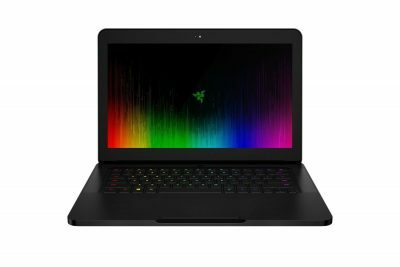 Razer Blade is a cool design which favors every gamer looking for a slim and portable gaming laptop. The 14-inch screen uses an IPS panel which reproduces accurate pictures no matter your viewing angle. With 1920 x 1080 resolution, the matte display relieves you from eye strain since you will not squint after hours of gaming. The keyboard is in its right from gaming thanks to the anti-ghosting keys. It allows you to make different key combinations when striking your target to kingdom come. What’s more, it is powered by Razer Chroma which means you can allocate up to 16.8 million colors to the keys and customize the keys as much as you’d like. Razer Blade is not your average gaming laptop. Being an upgrade from the 2016 version, this laptop boasts functionality in high stake games. You can take it absolutely anywhere as it is slim and weighs slightly above 4 pounds. With it, you have high speeds, overclocking capability, large storage memory, and great resolution. 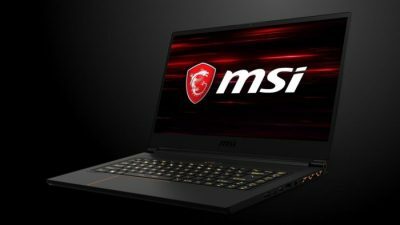 MSI GL62M 7REX is an easy pick for solid gaming. It features Intel’s 7th generation core i7-7700HQ for powerful gaming. With speeds from 2.8GHz to 3.8GHz turbo, it is ready for the most intensive games. It comes with an excellent graphics card, the GeForce GTX 1050Ti 4G Graphics. It is up to nice gaming details that match up high speeds to eliminate choppy images. The graphics card is an entry-level design, but it does meet the specifications of virtual reality, but it will not offer equal frame rates as that seen in the Acer Predator Helios or the Razer Blade. However, you will be getting incredible resolution from the 1920 x 1080 screen. It has a good depth of hues which you will only appreciate if you are using it in a well-lit room. Otherwise, the screen is a little dim, but you will love the world of color if you are watching trailers without color degradation. There’s no mistaking that this is MSI laptop thanks to the dragon Sigil on the back. Anyone can tell you are using MSI when you are gaming at your local coffee shop. The box lid is matte black and really smooth to the touch. It matches with the deck where you can rest your wrist and be free from fatigue. The base is texturized to keep it in place when you are punching the keys at superfast speeds. With the vast array of ports, this laptop is about to become a fully packed gaming rig. You can add as many peripherals like a gaming mouse and computer speakers to create the ultimate gaming scene. It has an AC adapter jack, one USB 2.0 port, two USB 3.0 ports, one SD Card reader, a mini display port, a USB Type C Port, Gigabit Ethernet, a secure lock slot, a mini Display port, a headphone jack, and a microphone jack. The keyboard is red backlit featuring fast actuation keys. It supports anti-ghosting on up to 45 keys, and it remains responsive with an excellent tactile feedback. It is designed with mechanic-level shielding and 1.9mm key travel making an absolute must for gaming. MSI GL62M 7REX is a timeless laptop that fulfills everyday gaming needs. It explores advanced technologies from CPU to the GPU, a cooling system, gaming keyboard, and a portable look. For the price at under $1000, only extreme gaming needs can limit you. Dell Inspiron i7577-5241BLK-PUS pushes gaming and VR to its limit. It is bound to give you immersive experiences owing to Nvidia’s graphics and 7th Gen Intel Core Processor. It is built for modern games that pack a punch in terms of speed, size, and resolution needs. You don’t need to worry about the storage as it boasts dual SSD and HDD memory. It is a hub for all your games wherever you want to bring the games. Nvidia’s GeForce GTX 1060 6GB with Max-Q technology graphics is the most advanced as it gets you superior performance in the VR reality world. It gives detailed gameplay and the capability of hitting targets without experiencing choppy images in chaotic scenes. The processing power of Intel’s i5-7300HQ is a standard for many gaming laptops in this price range. Dell follows in with the trend to offer high-performance speeds with 6MB cache and up to 3.5GHz processing power. This gaming laptop is an epitome of stunning clarity and brightness thanks to its IPS FHD display. It has anti-glare panel that gives full-color fidelity that is rich in all environments. With the front-firing speakers, this laptop is your ideal choice when you don’t have accompanying gaming speakers. It lets you indulge in your favorite games with fully blasting music. With a mono-hinge design, Dell Inspiron i7577-5241BLK-PUS stays cool amidst the chaos. The graphics system and quad-core CPU are highly prioritized on space so that they are always cool. It uses huge cooling vents which can keep up with every demanding game you can get your hands on. Better still, this laptop uses magnesium alloys braces to protect the components and keep it performing as new every day. The keyboard has only 1.4mm travel. It has audible clicks so every click will put you in a better gaming position. 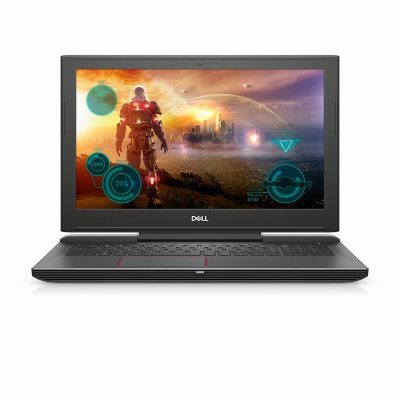 The Dell Inspiron i7577-5241BLK-PUS is built to grab the attention of every avid gamer. It delivers highly-responsive performance in a machine that stays cool while giving you VR capabilities. Even before the fuss about the Aero 14 is over, Gigabyte has managed to produce yet another stylish gaming laptop. The Aero 15W is a premium model with features we desire to see in an on-the-go gaming notebook. It is sleek with a small manageable weight that you can carry from class to your dorm room with ease. This laptop also falls in line by using Intel’s 7th Gen Core i7-7700HQ. It promises nothing but high-speed power to drive your gaming speeds to the limit. With the latest Nvidia’s GeForce GTX 1060 6GB GDDR5 and 8GB of RAM, you can say goodbye to bottlenecking and unwarranted delays. It brings muscle that will get you through next-generation games. It’s impressive that this laptop is not going to fall apart anytime soon. It is held together by an aluminum chassis, but it still has some tiny bits of plastic. With a 144Hz IPS FHD panel, it scales the world of good visuals on a whole new level. You are about to enjoy the smoothest gaming images thanks to the fast refresh rates. It has a 5mm border design that gives you a modern look with accurate color reproduction for all fast-paced games. Aero 15W has teamed up with X-Rite Pantone to give you access to the color spectrum. It gives you an accurately-contrasted environment so that blacks will be blacks and grey remains grey. It helps you distinguish between the enemy and its background so that your shots are always on point. The thin chassis is home to the 94Wh battery which has incredible battery life. You can game for longer and even complete more tasks with it. Its data transfer speeds explore Thunderbolt 3 which is the lead in this area. As such, you can enjoy data transfer of up to 40Gbps. 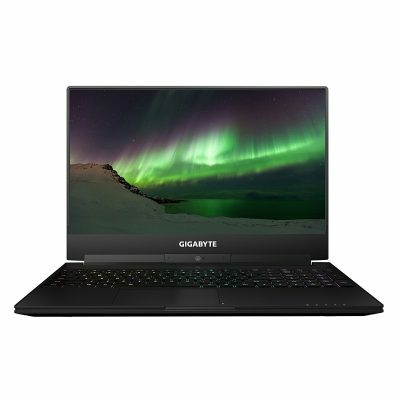 Gigabyte Aero 15W is a unique model in that it manages to use the latest gaming technologies while remaining thin. With high speeds, excellent display, and premium VR, this laptop gives you the ultimate entertaining time. 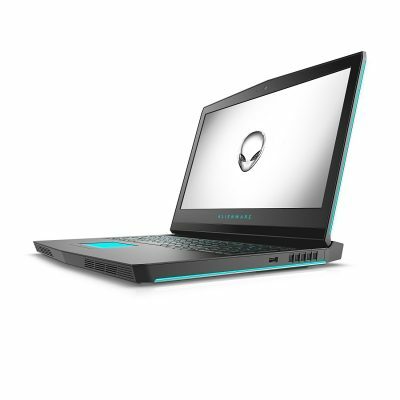 As gaming laptops continue to slim down, the Alienware 17R4 remains a gigantic model. The notebook takes advantage of its full design to facilitate heat dispersion and allow it to realize the full potential of modern technology. It is powered by Intel’s 7th generation i7-7700HQ to give you real performance. You will get more realistic visuals thanks to NVIDIA VR ready GeForce GTX 1060 graphics card. From the sound to how you interact with games, you will experience excellent immersive performance. You don’t need to move this model anywhere. Just settle it on the desk and look forward to gaming sessions with a durable model. It utilizes copper for improved performance, magnesium for a touch of rigidity, and steel to give it the tactile comfort every gamer needs. Even at 17 inches wide, this laptop remains relatively portable as the weight is not much of a killer. The LCD Screen supports full HD resolution. It operates at a stunning 4ms response rate to deliver crisp clear and smooth images. It boasts 400 nits brightness so you can see an opponent hiding in the background. It also supports G-sync technology which gives power to the GPU for visual accuracy. Unlike other models that just give you gaming-oriented specs, this notebook is here to help you become a better player. It supports game coaching Overwolf apps where you can replay a scene using your gaze pattern enabling you to learn from your mistakes. Not only that, it has Tobii eye tracking which is a system that allows you to input commands according to your eye and head movement. Now you are set for winning it big. If you don’t mind the extra weight, all the advanced gaming features will make it worth your while by investing in the Alienware 17R4-7002. It is a remarkable laptop that gives you more power and juice for your buck. 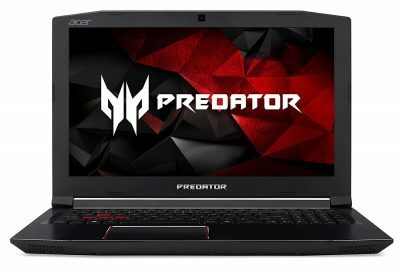 Acer’s Predator line is powerful granting it some considerable influence in the market. The Acer Predator 17 is the epitome of it all, featuring G-sync technology powers the laptop’s IPS display. With the help of the advanced GeForce GTX 1070 graphics card, this laptop gives you stunning visuals on its 17.3-inch screen. Powered by Nvidia’s Pascal architecture, the GPU is VR ready. The core i7-7700HQ brings everything into perspective since you just need to plug in a headset and you are on your way to a different word. This laptop is unsubtle from its exterior design. It comes with a black plastic chassis that is littered with some red specs. You will notice lots of vents on the sides and the back that allow it to stay cool. It can handle intense gaming sessions while keeping dust at bay since it utilizes alternating airflow directions. This keeps the dust out while maintaining a cool temperature and in the process keeps your laptop looking new every single day. A programmable RGB backlit keyboard brings you deeper into the gaming world. It has five programmable keys that give you access to the lighting controls and up to 15 shortcuts for your games. It’s pleasing to have four backlight zones that you can easily customize using PredatorSense pre-installed software. It includes a touchpad which you can disable when getting into long gaming sessions. You can also overclock the Predator 17 to meet high gaming demands. With the laptop at 30% battery level or more, you can switch from normal to faster, and even turbo settings. We notice that this can bring about overheating problems, but the frostcore fan reduces the temperature and offsets the heating problems. Acer Predator 17 is an outstanding gaming machine. It satisfies your gaming needs when it comes to speed and remarkable graphics. You are entitled to the best and this laptop ensures you will not be slowed down by a heating CPU. You even get more longevity out of the dust stopping venting system. 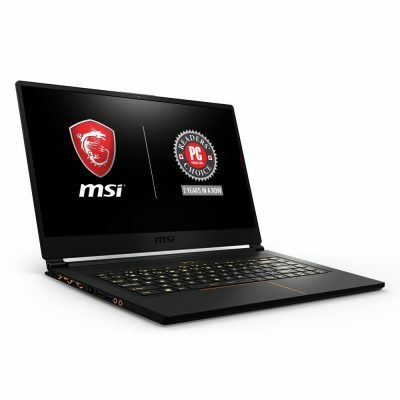 MSI GS65 Stealth is an ultrathin gaming laptop featuring a 0.6mm bezel. With a 15.6-inch screen size, it is an ideal size for gaming from the convenience of your favorite location. Whether at your local coffee shop or the beach, it is will never drag you. Although it is slim and lightweight, this model does not come short in the gaming specs. With 144Hz refresh rate, it is probably the fastest laptop on our list. It gives you fluid gaming with superfast transitions between scenes. It has breathtaking visuals thanks to the 7ms response rate. You will experience impressive and full-color fidelity with 72% NTSC. This laptop is built to enhance your gaming experience using Nvidia’s most advanced GTX 1060 graphics. It works hand-in-hand with Intel’s 8th Gen CPU that has six cores. This allows you to play the latest modern games that take advantage of more cores. The ultrathin design is complemented by a matte black finish and gold highlights. It has a ventilation grille to crush the heat using four heat pipes and three fans. These features work together to dissipate heat and keep the laptop working at high speed even in extreme gaming. You can customize every key with its color using RGB customization options. It has pre-installed SteelSeries software that offers you granular control over every key’s illumination. You will also appreciate the exclusive speakers that are engineered to give you a rich bass with crisp mids and highs. Now you can game while listening to your favorite tracks. Are you looking to score more bang for your buck? MSI GS65 Stealth offers you its top sought features in a thin bezel laptop that you can take anywhere. It is on top of the gaming world with six cores CPU while taking advantage of Nvidia’s GTX 1060 GPU to meet all your gaming specifications. 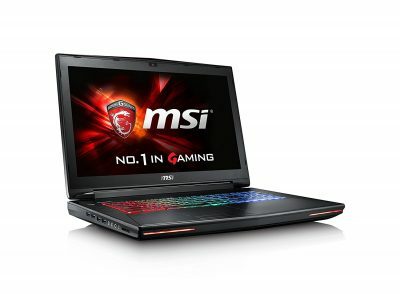 MSI GT72VR Dominator-449 Pro represents a reasonable choice in gaming notebooks that are on the chunky side. It can weigh down your backpack considerably, so we suggest using it at a desktop. It is an excellent choice if you have limited space to include desktop gaming gear like a sizeable 37-inch monitor and PC. With this laptop, you are guaranteed every component that makes gaming a pleasant experience. It comes with a 7th gen processor which places in line with other top gaming notebooks. The micro-efficient microarchitecture allows it to perform with excellence as your FPS and eSports games can utilize the cores and drive its gaming functionality to a sweet spot. It is also VR ready thanks to Nvidia;’s GTX 1060 GPU. You can discover the thrill of the latest technologies since, with your VR headset, it is only a matter of plugging in. MSI takes pride in its Cooler Boost 4 cooling technology. If you thought MSI ultrathin Stealth has conquered the heating problem, then you won’t know what hit you with the MSI Dominator-449. It boasts a total of six heat pipes that drive heat away from the CPU and GPU. This ensures that your notebook can accommodate demanding gaming needs and perform at its peak with each game. It combines 120Hz refresh rate with 5ms response rate. It allows you to react to the game ultrafast so that your hits are on point where your eyes will be looking. The pre-programmed SteelSeries Engine 3 is an incredible addition as it allows you to customize the keys lighting using the different backlit colors. You can also create profiles and personalize the macros which you can use to get better and even sync the programmed profiles with the cloud so that you can access them using any other laptop. MSI GT72VR Dominator-449 Pro is all game. We can all agree that it is a chunky model, but besides the big screen, you have a laptop that is designed to cover specific gaming needs. It has incredible graphics, and the GPU is VR ready. It can take on intensive gaming and propel your gaming skills to levels only an MSI can take you. ASUS ROG Zephyrus GX501 is an innovative design in a practical gaming notebook. It garners quite a following as they hum quietly even when gaming. It plays in with the Intel Core’s i7-7700HQ to give a unit that is up to gaming and watching movies with real power. The GeForce GTX 1080 8GB with Max-Q technology has everything to do with the cooling and the noiseless performance. It allows your laptop to remain efficient as it has a TDP that is only 90 watts. It even saves you on the power draw and energy bills in the process. This notebook features an aerodynamic cooling system. It allows heat to dissipate more efficiently by improving the airflow by up to 40% faster. The temperature reduces by 20% compared to other cooling systems. And how does ASUS do this? Using AeroAccelerator technology, the laptop is designed using a unique aluminum alloy shroud that is carefully curved and lifted to allow more airflow. The fans are 33% thinner enabling ASUS to make more fans which results in even further cooling. The RGB keyboard is ever so familiar especially if you are a desktop gaming fan. It has Aura RGB lighting so you can personalize the dynamic effects to your tastes and preferences. The WASD and QWER keys are separately adjustable such that they can quickly adapt to FPS and MOBA games. It has an anti-ghosting feature which comes in handy when you want to deliver commands using multiple key combinations. ASUS ROG Zephyrus GX501 has trimmed down its weight and size and manages to provide real gaming power. Nvidia’s Pascal Graphics Architecture allows it to perform with excellence in all gaming situations. It has a high-end graphics card which makes everything fall together into a powerful gaming notebook. A gaming laptop may not push gaming capabilities like gaming desktops, but they give you the convenience of toting them around in the house and gaming at your favorite spots. What should you consider before bringing home a gaming laptop? This is the most important aspect of gaming as it dictates how your visuals are going to turn out. Between AMD and Nvidia; Nvidia dominates the gaming laptops world as it offers performance that comes closest to a desktop with a similar card. But which Nvidia graphics card matters most? Here, you will want to look at the model numbers as it will give you a pretty good idea about its 3D performance. For example, Nvidia’s GTX 1080 is more capable than Nvidia’s GTX 1060. This is regarding the frame rates and quality of the graphics as it provides stutter-free gaming. You should also consider laptops that integrate G-Sync and Free Sync technologies to smooth out the refresh rates even further. If you want to play games using 4K and 5K displays, you will want to include a second graphics card to enable these possibilities. It’s a straight battle between AMD and Intel where Intel wins with their 7th Generation i5 or i7core. These are CPUs based on Kaby Lake Chipset which gives enough raw power. As the heart of your laptop, you do not want to skimp on the CPU if you’re going to play the latest games. Intel’s 8th Gen cores are also in the market. They are going to become a new standard, but the 7th gen cores are still functional in today’s gaming. You should take note not to end up with an entry level CPU such as an i3 or AMD processor as it limits you in the games you can play. How Portable do you need your Gaming Laptop? This brings us to the screen size. Powerful laptops are not always portable as they pack more weight. 17-inch and 18-inch laptops are considered less portable, and they are only great if the farthest you are taking it is to the next room. They can take considerable desktop space like the Alienware 17, but you get high performance, and it can dissipate heat better than smaller laptops. A 14-15-inch laptop is where you want to stick if you are looking to get gaming functionality and portability. These laptops weigh much less than 17-inch notebooks and have a lower price tag. It is better to stick with full HD 1920 x 1080 pixels if you are on a budget. Any lower will give you display problems, but you can always go higher which comes at an increased cost. A QHD screen (3200 x 1800 pixels), has higher quality graphics but not as great as a 4K resolution panel. 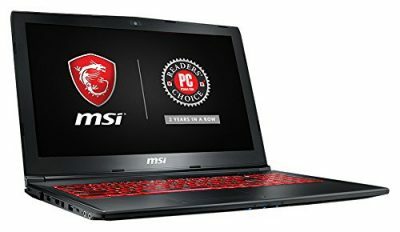 Note that if your laptop’s primary use is for gaming, all you need is a powerful graphics card as it can render frame rates at 4K, so it is actually great to use a laptop with full HD resolution. For those looking for an ultrathin gaming laptop but you don’t mind losing the battery life a Max-Q gaming laptop might be good for you. Nvidia has made technology strides that allow designing of ultrathin notebooks and fitting in high-performing graphics cards. For example, the ASUS ROG Zephyrus has a GTX 1080 Graphics card with Max-Q. It has a similar standard to the GTX 1070 card. Large capacity SSD is the way to go. It boosts your booting up, and the time it takes to load a game. Although SSDs have a reputation of being expensive, their prices have come down considerably so you can choose a laptop with a large SSD without putting a deep your pockets. To get the best out of your drive, you will want to configure correctly. You can go with small 256GB SSD and over 500GB HDD for a start. Remember that SSDs can survive a fall, unlike HDDs which means you should spend wisely when making a choice between SSD and HDD. If you are only involved in gaming, 8GB of RAM is the ideal size. But if you are running multiple applications and you want to switch between them, 16GB is much better. This gives you enough room to switch back and forth without hassle. We have picked only the models we see fit to include in our list of the Best Gaming Laptops. Here, you will find highly performing notebooks powered by high-end graphics cards and CPUs. We have covered a wide spectrum from cheap models to midrange brands, and even those with unique technologies like Max-Q. It is our hope you will now find it easy picking your next portable gaming rig. Disclaimer: DefinitePoint.com participates in some affiliate programs and we might get a commission on purchases made through our links, but that doesn't change the fact how we write our articles. Copyright © 2019 DefinitePoint, All rights reserved.